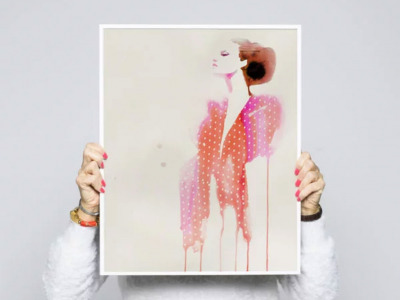 Foto: Absolut Art Polkadots by Ida Sjöstedt X Stina Pers. Art is a $65 billion industry, but much of the art world isn’t accessible or affordable for most people. Art is all around us, yet for most of us it seems like an inaccessible luxury. As a 20-something, Nahema Mehta – who had an art collection of her own – came to notice that most of her friends felt this exact sentiment. “They would often admire the art on my walls and lament over their own white walls. Most loved art but were convinced they didn’t have the permission or the funds to collect it,” she says. As a 20-something myself, I see the same notion echoed among my friends today. As we move into our own spaces, we want to decorate our walls with pieces that reflect our personalities and tastes, but we don’t have thousands of dollars to spend on artwork. For most, the default is to buy cheap, mass-produced prints or forgo buying any sort of artwork altogether. For a $65 billion industry, you’d think that buying and collecting art would be something a lot of people do, but the prices and exclusivity of the art world can be so prohibitive that most of us never even start. Mehta credits this to a broken and expensive supply chain. “When it comes to art, you have to navigate a minefield of hidden costs and delays including eight-week lead times and artworks that arrive to your door in a roll that’s unsustainably packaged and that you have to figure out how to frame,” she explains. She wondered why art couldn’t be discovered and consumed the same way as luxury fashion or music. These questions and realizations led Mehta to build a solution of her own called Art Remba. Art Remba was a one-stop shop for discovering and purchasing artwork online. In just a few months, Art Remba was profitable, and in just a few years Mehta successfully exited to become the co-founder and CEO of Absolut Art, the first brand extension from spirit company Absolut. 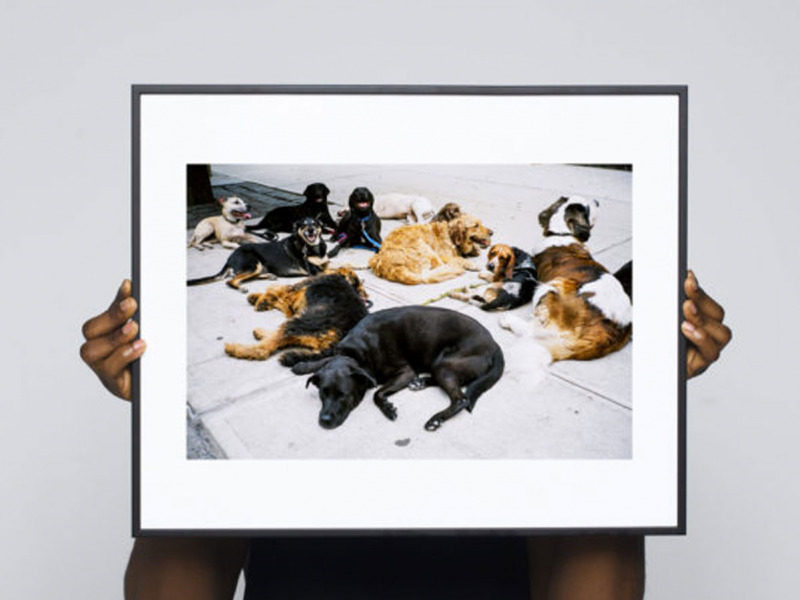 Today, the online art gallery sells a curated selection of signed, limited-edition prints from artists all over the world – and it’s making contemporary art more accessible, affordable, and a lot less intimidating than ever before. While there are many places you can buy prints online, Absolut Art stands out for a few important reasons. One is the highly curated collection of prints. Many art sites inundate you with thousands of options, to the point where you don’t even know where to begin. Absolut Art, on the other hand, offers a smaller selection of unique pieces that’s easier to manage perusing through. There are only a limited number of each print made, so you can feel good knowing you’re paying for something truly unique. 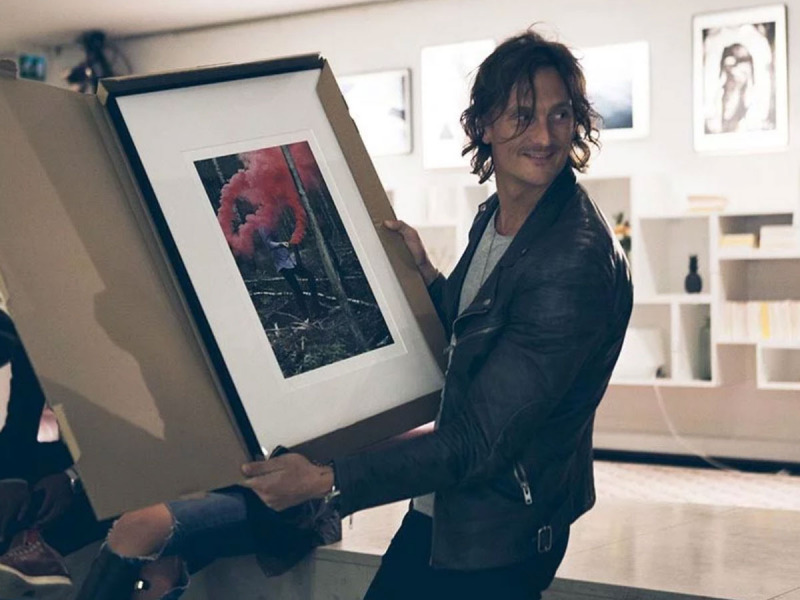 The direct-to-consumer model provides a seamless buying experience, where you can order your piece online and have it delivered to your door, framed and ready to be hung up, in just 48 hours. 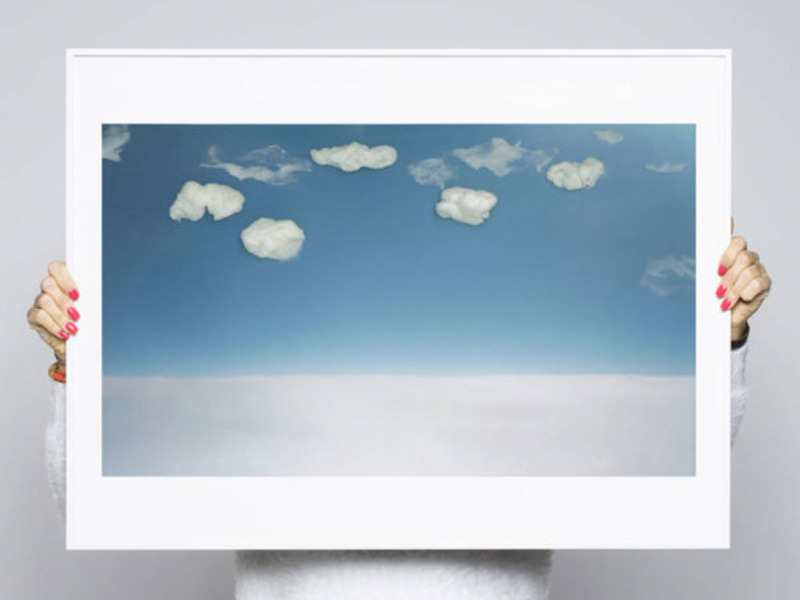 Choose to have it framed in a museum-quality frame, or leave it as is on the durable, high-quality archival paper – the same kind you’d find at a gallery. You can search and shop for art in a few different ways, or if you’re looking for a specific medium or design style, you can shop by category. Absolut Art categorizes all artwork into six groups: new art, trending artwork, photo art, street art, abstract, and landscape. You can also search by artist if you happen to be looking for someone specific, or if you’re just looking to discover and explore a new artist you’ve never heard of before. There’s also a last chance section where you can find popular pieces that are almost sold out. Personally, I’m not someone who has ever really felt like I “get” contemporary art. I enjoy looking at certain pieces, but there tends to be an air of pretentiousness that makes that particular niche of the world seem out of reach. Absolut Art strips away those barriers for an experience that is both inviting and exciting. It provides easy-to-digest context for the artwork, and the site even offers ample opportunities to explore artists’ processes further, providing in-depth bios about each person. Some artists even have short documentary-style videos that take you into their studios. The prices are by no means cheap, but the transparency of knowing that the selection is limited and 50% of the profits are going back directly to the artist helps justify, or at least explain, the cost so you can feel better knowing exactly what you’re paying for. And, you never know – maybe one day some of these artists will be big names and worth a lot more. Absolut Art is democratizing the way young people go about buying – and maybe one day, seriously collecting – artwork. The model is one that fits the needs and values of a new generation, from the transparent prices, quick delivery, and accessible e-commerce model.